Saville Stainless has been steadfastly supplying the education sector for over 30 years. From easy-to-use drinking fountains to child-friendly sanitaryware, we continually drive innovation in school equipment. Designers of lever-operated drinking fountains, catering for children unable to operate traditional units. All products designed and manufactured with versatility and accessibility in mind. 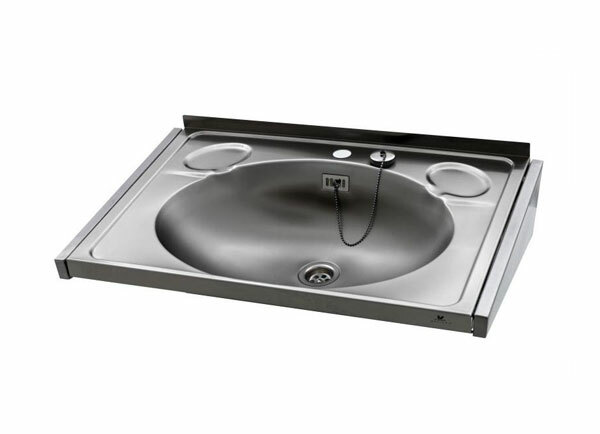 Custom-built drinking fountains, wash troughs and bathroom equipment for individual school needs. Quality, floor-standing trough and slab urinals and robust washroom facilities with wall-mounting versatility and hygienic design features. 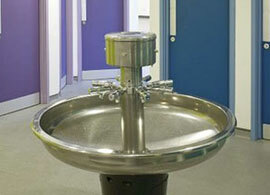 Innovatively designed Sanispray wash fountains, only needing one water and one waste supply for any school environment.